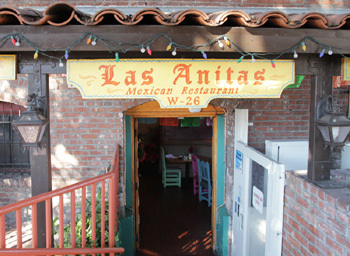 Las Anitas Mexican Restaurant has been serving the Los Angeles community in the historic Italian Hall since 1947. Ana Natalia Guerrero, a founding merchant of Olvera Street took great pride in serving traditional Mexican and Cal-Mex cuisine. World famous Olvera Street was closed to vehicular traffic and made into a Mexican marketplace through the efforts of Christine Sterling in 1930. Olvera Street is part of El Pueblo de Los Angeles Historic Monument which is near the site of the early Los Angeles pueblo where forty four settlers established a farming community in 1781. Since then, Los Angeles has been under four flags (Spain, Mexico, California Bear Republic and the U.S.) and has become one of the world's largest metropolitan areas. Las Anitas is located in the basement of the Italian Hall, which was opened in 1908 as a center for Italian organizations in the city. The second story south wall of the Italian Hall displays a 16x18 foot mural painted in 1932 by David Alfaro Siqueiros who is recognized as one of the three great Mexican muralists along with Jose Clemente Orozco and Diego Rivera. 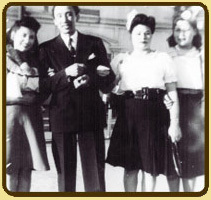 During the 1940's Ana Natalia Guerrero decided to branch out from the family puesto known as Cielito Lindo on the corner of Alameda and Macy Street (Cesar Chavez Ave.) on Olvera Street. The little food stand had developed a loyal client base and the family was able to work together to immigrate aunts and uncles and their families to the United States from Huanusco, Zacatecas, Mexico. 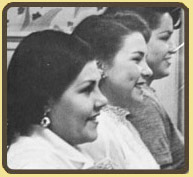 Then Ana, with her mothers blessing and financial support opened the first of several Anitas Mexican restaurants in Los Angeles, Hollywood and Alhambra. The family plan was that eventually each sibling would be able to own their own business and provide for their families. The most successful of these small restaurants was the Anitas at 101 North Broadway. It was located next door to the famous Mason Theater. Many of Mexico's and Latin America's most stellar performers performed at the Mason Theater and the artists often ate at Las Anitas. Unfortunately in 1951 the State of California purchased the building and Ana lost the lease on her famous restaurant. 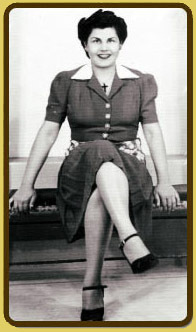 Because of her relationship with Mrs. Christine Sterling, the founder of Olvera Street, Ana decided to move her restaurant into the Italian Hall on the corner of Main and Macy street (Cesar Chavez Ave). The building which was owned by the Arcante family at the time had a basement which opened into the Olvera Street side. She turned this hidden little area into a cozy restaurant and soon her customers followed her to Olvera Street. Many Los Angeles cooks have started at Las Anitas and have gone on to work for other well known restaurants. Ana was a consummate self taught chef. She insisted on the best and freshest ingredients for her customers. Over the years, this hidden treasure on the north end of Olvera Street has continued to draw loyal customers.